Hide this Project (Malpani Greens) Discover properties in other projects by hiding the ones that doesn't interest you. You won't see them in your searches further but you can unhide anytime later. Hide this Dealer (Dreamland properties)Discover properties by other dealers by hiding those whom you have already spoken to. You won't see them in your searches further but you can unhide anytime later. Hide this Dealer (Divya Neeraj) Discover properties by other dealers by hiding those whom you have already spoken to. You won't see them in your searches further but you can unhide anytime later. Malpani Greens is a residential project by the renowned Malpani Estates in Wakad, Pune. It offers efficiently designed 2-3 BHK apartments, assuring comfortable and bountiful living. The project is well equipped with all modern day amenities to suit the buyers and their needs. Pune West consists of areas like Aundh, Wakad, Baner, Hinjewadi, Pashan and Pimple Saudagar. An efficiently laid-out region, along with a number of residential projects is driving surge in the real estate market over here. Availability of banks, educational institutions, hospitals and shopping malls in the neighborhood. Well connected to other areas via efficient infrastructure and transportation. Characterized by skillfully designed infrastructure, along with all basic amenities restored to consumable levels, Pune West is for sure one of the most rapidly upcoming destinations in Maharashtra. Moreover, access to a number of residential project markets and impeccable connectivity is what that?s been driving a major real estate growth in this region. In the April ? June 2015 quarter, the average property rates near Haralur Road stood at Rs. 6300 per square foot, while for the January ? March 2015 quarter, the value was Rs. 6400 per square foot. The last quarter of 2014 witnessed average property rates at Rs. 6000 per square foot. Malpani Greens brings in a number of amenities like uninterrupted water supply, lifts, play area for kids, park, reserved parking, and advanced security system. Malpani Group are one of the most promising upcoming real estate developers, working in West Maharashtra majorly. Gaining surge over social media, it is a reputed name in the FMCG sector, green power generation, amusement parks, resort, logistics and CSR with major trust on education, health and various social projects. Where is Malpani Greens located? The project is located in Kaspate Vasti, Pune. What size of flats are available in Malpani Greens? The apartment sizes in the project vary from 1206.0 sqft to 1585.0 sqft. What is total area of 2 bhk in Malpani Greens? The area of 2BHK units in the project is 1206.0 sqft. What is total area of 3 bhk in Malpani Greens? 3 BHK units in the project are available in a size of 1585.0 sqft. How much is the total size of Malpani Greens?The project is spread over an area of 5.5 Acres. What is price of 2 bhk in Malpani Greens? 2 BHK apartments in the project are available at a price of Rs. 8500000 to Rs. 8700000. Anodized aluminum 3 track sliding automatic locking windows with mosquito net in all bedrooms and terrace. creating a lifestyle with modern education, entertainment facilities in a stress-free and safe environment. Some of the completed properties are Malpani The Crest, Malpani Saffron. 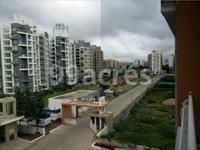 Helloo 99acres, I am interested in Malpani Greens by Malpani Estates project. I want to know units details of this project and need feedback from you to invest here or not ? Hello Mr. Ankit, You have very few inventory in this project as most them are sold out. Would like to know your requirement so that I can confirm and give you a best suited option or would request you to get in touch for a detailed discussion. Regards, Nesting Dreams Pvt. Ltd.